How do you short a currency? 1. You can sell a contract for that currency in a Futures Market. 3. You can sell that currency against another currency in the Forex market. The price of the pair states how much the first currency is worth in the second currency denomination. 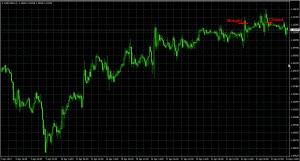 For example, if the price for EUR/USD is 1.3500, this means that one Euro is currently worth US$1.35. You are always long or short one side of the pair against the other side of that pair. When you buy the EUR/USD pair this means that you simultaneously buy the Euro and sell the USD. When you short the Euro, you basically sell the Euro and buy the USD. What is the link between technical analysis and psychology? The whole idea of technical analysis was based on the premise that most of the time people would respond in the same way to similar situations. And that these similarities of responses are reflected in patterns on charts. Whether this is true or not is a matter of opinion. But some chart patterns and other forms of technical analysis repeat themselves way too often for simple coincidences. How can one be a good forex trader? The same way that one can be good at anything else. How does one become a good plumber or doctor or athlete? By learning and practicing. That is the only way really. 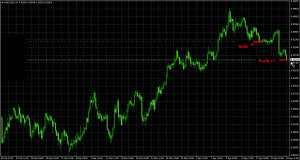 The AUDUSD short position opened on Apr. 17 (see the original post) reached its first profit target for a +66 pips of profit. The stop-loss orders for the remaining 2 units are moved to their break even points now. This morning there were two signals. The GBPUSD news trade was cancelled due to the lack of action. 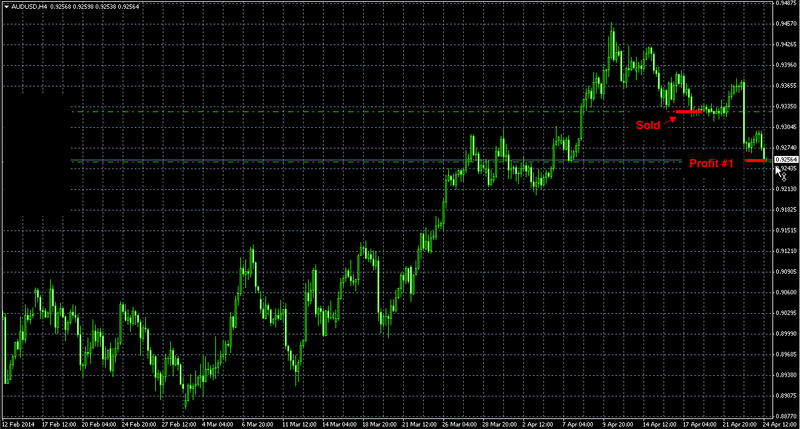 The AUDUSD short position is open. 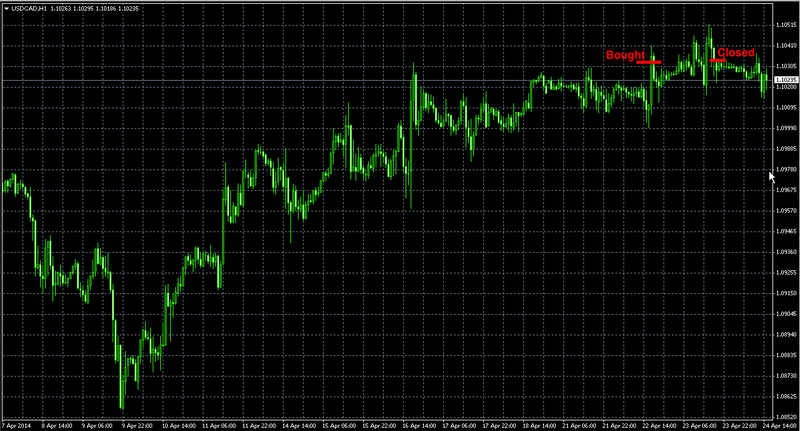 The AUDUSD dropped like a stone on the lower than expected CPI number. The pair broke through the support line and made a new low on a daily chart falling below the psychologically important resistance at 0.9300. It might take time to break through that number though. Our short-position position opened on Apr. 17 is in the money now (see that post here: Th., Apr. 17. The first profit target is just above the daily 200MA at 0.9262. Today there were 2 signals issued (see below). Later on the USDJPY signal was cancelled. The USDCAD position was open but it went nowhere and will be held overnight. All the talk about 50/50 odds in the stock market or any other financial market for that matter is simply NOT TRUE. Just the same as calling the stock market a zero-sum game. The broker's commissions and other charges shift the odds against the trader. Yes, your chances of correctly guessing the direction of the price move are 50/50 but you have to pay commissions on the way in the trade and on the way out. These commissions will eat part of your profits when you win and add to your losses when you lose. Therefore, if you will be right 50% of the time and your average win will equal your average loss, you will still lose money. How is that for a 50/50 chance? As for the difference between gambling in a casino and trading, there is not much considering the fact that the odds are stack against you in both cases. The difference lies in the approach. If you calculate your risks and shift the odds of winning in your favor, you can win on average in both endeavors. There are people who consistently beat casinos and there are traders who consistently make profits in financial markets.